If there’s one thing we can learn from the Ukraine crisis, it’s that the quest for democracy worldwide is often not served by those who champion it most. 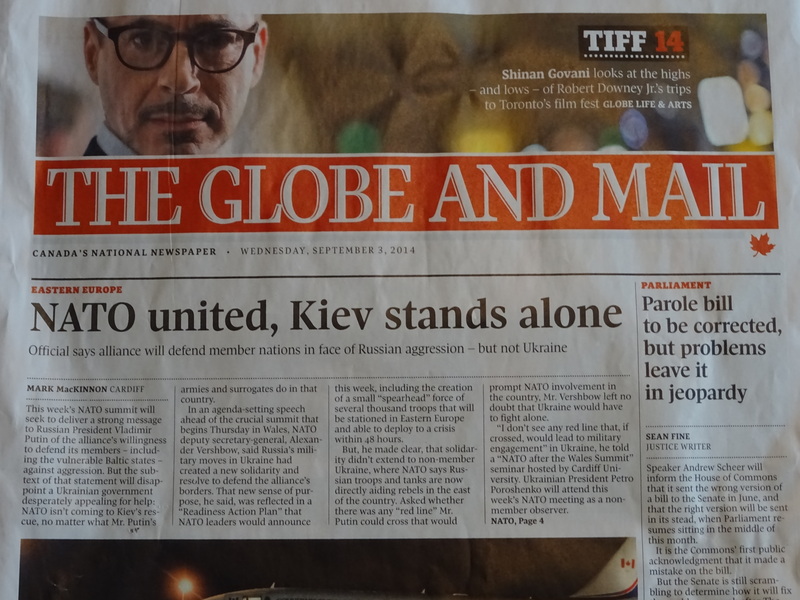 A recent headline in Canada’s Globe & Mail said it all: “NATO united, Ukraine stands alone.” That just about sums up the Western response after months of swagger, empty promises and cheap assurances. It wasn’t so long ago that the people of Ukraine, fed-up with long years of misrule, corruption and the abuse of power rose up to demand change and new direction. Theirs was the same cry of oppressed and weary citizens everywhere for good and responsible government, an end to corruption and the abuse of power, a chance to pursue their dreams and live in peace and security; not too much to ask in the 21st century surely. But bigger forces were at play. The aspirations of the Ukrainian people were seen in Washington, and to a lesser extent, in other Western capitals, as simply another opportunity to advance their geopolitical interests, as the leaked phone conversation of US Assistant Secretary of State Victoria Nuland revealed. Consequently, the cry for good governance was turned into a focal point of East-West confrontation. Western leaders rushed to Maidan Square to stand with anti-government demonstrators, assured them of economic assistance and vowed to “stand firmly” with Kiev against Russia. Ukraine’s interim and largely naïve leader, Arseniy Yatsenyuk, was hailed as a hero and feted in Western capitals. At the same time, he was egged on to confront Moscow, convinced that his country’s territorial integrity was safe under the protective umbrella of NATO. He would have better served his country by travelling to its eastern provinces and reaching out to his ethnic Russian citizens, who were already feeling marginalized and fearful of the sudden shift in power and the undermining of their rights. President Putin, for his part, correctly gauged that it was all swagger, that when push came to shove, the West would do nothing more than talk tough. At worst, they would resort to sanctions, always the last resort of nations unwilling to act more forcefully. He quickly did what the West thought he didn’t have the daring to do: annex Crimea. And not content with that, he has stirred up irredentist sentiment amongst Ukraine’s ethnic Russian population and continues to arm and support them. Putin’s objectives are apparent enough. He clearly does not want to see NATO expand into Ukraine, having already witnessed the rapid expansion of NATO into much of the former Soviet Union. Like it or not, Russia too has genuine strategic concerns, much like any other state. Putin might tolerate countries like Ukraine developing closer economic ties with the European Union but not a military alliance with NATO which, in his estimation, would undermine Russia’s security. The Americans would have done no less. And let’s not forget that the same business concerns that drive Western governments are also an imperative for Russia. Ukraine and many of the other former Soviet client states are important markets for Russia. EU membership puts Russia at a disadvantage. Wisely, the EU is now offering to seek ways of ensuring Russian companies that export to Ukraine will not be penalized by the higher trade standards that Kiev must adopt once its free trade agreement comes into force in November. These are the kinds of actions that if done earlier might have alleviated Russian concerns. However, instead of taking a more equitable approach, Washington chose to go head to head with Moscow, conveniently ignoring important political realities which made confrontation a losing proposal, at least for Ukraine. In the first place, only the most naïve would have believed that NATO, notwithstanding its bluster, was prepared to go to war with Russia over Ukraine. It is one thing for America and NATO to go after paper tigers like Saddam Hussein and Muammar Gadhafi or a ragtag bunch of terrorists in the deserts of the Middle East, but Russia is no pushover. In fact, fearful of provoking Russia, Western governments have shied away from providing real military assistance to Ukraine. While Russia has upped the ante with men, missiles and tanks, the Ukrainians have had to settle for rations, radios, concertina wire, first aid kits, and limited supplies of body armor from its supposedly “staunch” Western backers. If this is not a stunning betrayal, what is? Secondly, Ukraine needs at least USD 30 billion to stabilize itself. Western nations are hardly in a position to provide that kind of money, especially given their own economic challenges. Furthermore, Ukraine is dependent on Russia for almost 50% of its energy needs and already owes Russia USD4.5 billion. Given its economic vulnerability, confrontation with Russia was a no-brainer. Thirdly, Western Europe is itself significantly dependent on Russian oil and gas. According to Eurostat, Russia provides the European Union with 30% of its gas, 35% of its crude oil and 26% of its solid fuels. Some of the Baltic states are almost 100% dependent on Russian energy. This alone limits the EU’s ability to manoeuvre vis-à-vis Russia. Again, only the most naïve would have believed that the EU would be willing to jeopardise its own economic stability by taking the kind of tough measures that alone would have deterred Russia. Given these realities on the ground, it was clear that Western promises and assurances to Ukraine were unrealistic, unsustainable and irresponsible. Surely, the sane option would have been to midwife Ukraine’s transition to democracy while encouraging it to seek good working relations with Russia. That would also have involved ruling out Ukraine’s membership of both NATO and the EU, at least for now, in deference to Russian sensitivities. Lest this be considered a poor option, it is worth remembering that both Norway and Switzerland are non-EU members and are doing better than most, while Finland is a non-NATO member [though it has extensive cooperation with the military alliance]. All this to say that there were other options open to Ukraine, that, if properly explored and pursued, might have well avoided needless confrontation while giving Ukraine the time and space to build a more sustainable, more stable democracy and keep its territorial integrity intact at the same time. As it is, Ukraine will now have to live with the fact that Crimea is gone for good, its country deeply divided and vulnerable, its economy precariously dependent on Russian goodwill and, for all the great Western assurances, helplessly alone in the face of direct Russian interference and intervention. 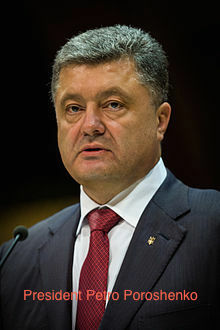 Ukraine’s new president, Petro Poroshenko has now been forced to do what Arseniy Yatsenyuk should have done in the first place: sit down with the Russians and work out the best compromise he can get to buy Ukraine the time it needs to stabilize, to develop, to rebuild. It’s a hard lesson in geopolitics and a reminder that the quest for democracy and good governance is often not best served by its very champions. In the end, people wanting freedom and democracy must look to themselves and not put their faith in nations that lack the courage of their own convictions.